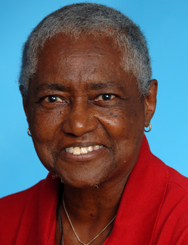 Anderson has been a part of the LGBT community since the 1960s, and has been active on a wide range of issues. She started Yahimba, a group for Black lesbians, and is a key supporter of POW WOW and Affinity, also African-American women's organizations. She served on the board of Lesbian Community Cancer Project, and has supported many individuals and organizations in their activism.